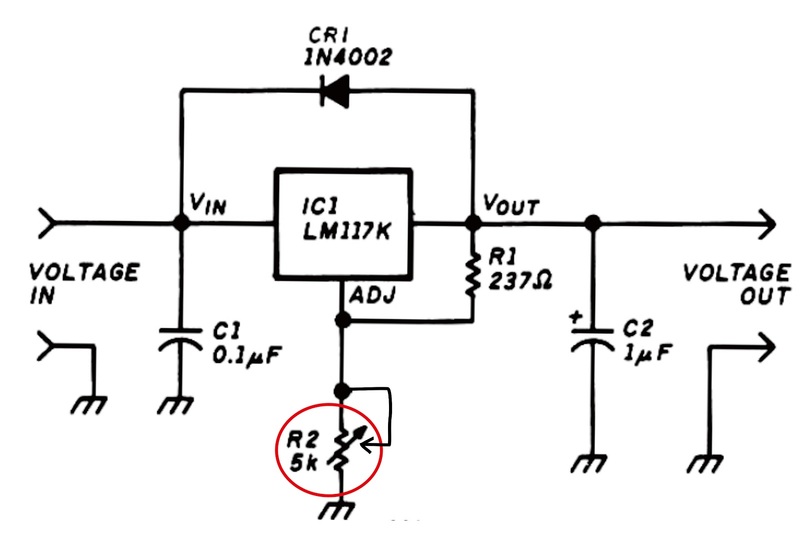 Varible Voltage regulator is a circuit that serves to supply a component or electronic equipment. 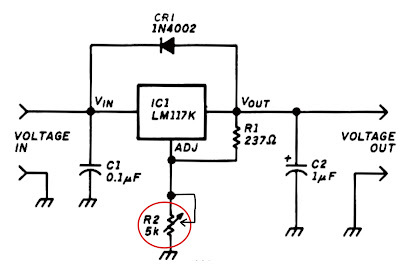 It is similiar to the power supply, but on Variable Voltage regulator has an adjustable output. And adjusted by potentiometer not rotary switch. Voltage input about 1 Volt to 35 Volt Maximum. This is use 5A transformer but if you have a 3A transformer its can be use. To adjust the voltage use potentiometer on R2 . The variable voltage regulator lets you adjust the output voltage of a fixed DC power supply between 1 Volt and 35 Volt DC. and will supply the output current in excess of 1.5 A. The circuit LM117K three-terminal adjustable output positive voltage regulator in a TO-3 can. If you use the 3A transformer its'nt to damaged the component, because of strong currents affect only the weak voltage. But that must be considered is the input voltage , use the desired equivalent in this setting. If the circuit requires 12 to 30 volt , 40 volt do not give the voltage that will make damage component in the circuit.